Benowa Flood Damage: We specialise in rapid response to emergency flood and water damaged related cleanups around Benowa on the Gold Coast. The Gold Coast has had more than 45 floods since 1925 and can cause extensive damage to private residences, community buildings, and commercial property. 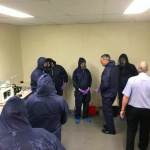 With our 40 years experience and well equipped Gold Coast warehouse, we understand the area and our 24-7 hotline is here to help you restore your property after flood or water damage. Cyclonic winds, rain, thunderstorms and continuous heavy rain are common on the Gold Coast, especially in the summer months. This can result in major water damage to both residential and commercial buildings. It’s not only external forces that threaten your home or business. 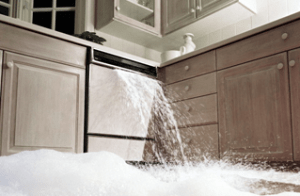 Have you ever left the bath running; had the washing machine overflow; been the victim of leaking pipes; or have the dishwasher leak everywhere? Any damage to your Benowa home, business property or commercial premises can have a devastating impact and many are unaware that water damage can have lingering effects that can last a lifetime if not dealt with properly. imise the impact, helping you save money on the final damage bill. PHJ have over 30 years experience specialising in Water Damage Restoration in Benowa, and are proudly listed on the ‘Preferred Supplier’ lists of most insurance companies. PHJ Services are your Ashmore carpet and home water damage restoration specialists. In a Water Damage Emergency, don’t delay… call PHJ Services on (07) 5520 7733 for emergency support.